Looking at spring landscaping ideas that will add curb appeal to your home and make you feel at home from the moment you pull into your driveway? Look no further than these delightful ideas that will make you the envy of your neighborhood and add charm to your home? Check these out and see which one would be best for your family. A water feature can create a peaceful and tranquil environment for you and your guests. From the moment you pull into your driveway and see your mini waterfall cascade over rocks and hear the trickle of water you will feel right at home. Water features can be as simple or complex as you like. You might even find that you like keeping Koi fish in the pond. Elevated beds can add great dimension to your landscape and aren’t complicated to build. All raised beds start with simple wooden box frames that you can create with material from Home Depot or any other home improvement store. 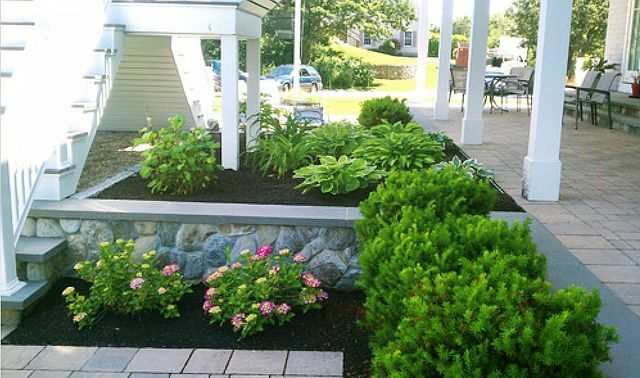 The raised bed in the picture features hostas and evergreens. 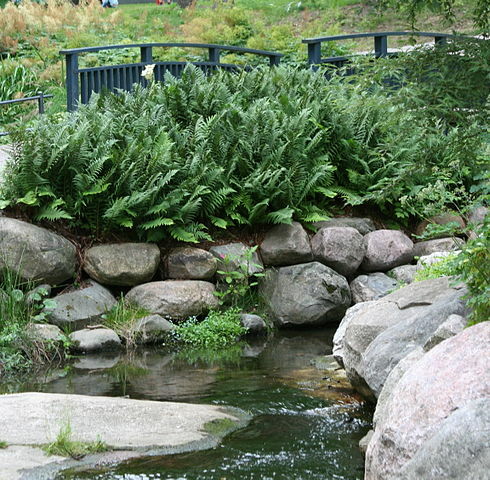 Hostas bloom in the summer and the evergreen provides beautiful color in the winter. 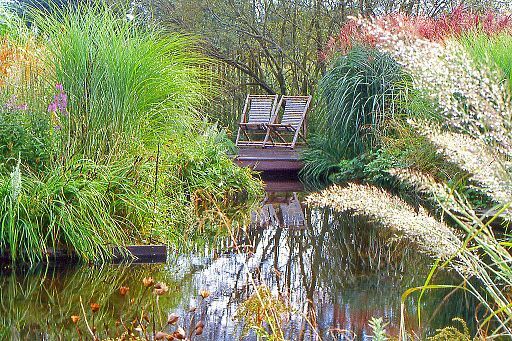 There are literally thousands of beautiful grasses to choose from to decorate your garden. From pink to purple to various shades of green, you’ll appreciate how these grasses add dimension and flair to your garden and don’t require much maintenance. Some grasses are trimmed in the fall so that they can grow back in the spring and others don’t need to be trimmed. Check with your landscaping company to see what the maintenance requirements are for the grasses you’re looking at. Consider planting grasses in a fun zig zag pattern and dotting flowering bushes between them. If you’re interested in learning more about our manufactured homes for sale, contact us. We’d love to help you find the home of your dreams and assist you in all the fun decisions that come your way, like landscaping and decorating.